When it comes to apparel for your employees and customers, it’s important to understand the differences in fabric. A good way to think of this is in three categories: Good, Better, and Best. The differences here will be in price point and quality. Understanding your needs, and what you are looking to accomplish with each article of clothing, will indicate which – Good, Better, or Best – would best suit your situation. While clothing such as T-shirts, sport shirts, and fleece can all look the same, you already know all clothing is not created equal. There are variations that you will benefit from examining. For T-shirts, the opening price point typically begins with a 5-oz. open-end cotton product – in either a 100 percent cotton or 50/50 cotton/polyester blend. These are quality and durable products, but open-end cotton is not quite as durable or soft as ring-spun cotton. Styles and colors can also be more limited, and thus, this is a more value-oriented variety. It’s a great option for give-aways, promotional events, and customers who are on tight budgets. This is the Good option for work shirts. The Better option is a little more expensive, but the quality is increased, along with the color and style options. These T-shirts are typical a 6-oz. weight, open-end, and will generally last longer because of the heavier weight. They’re a good option for customers who want the best of both – a value, but need more style or color options – and are great for event volunteers, clubs, festivals, fun runs, and more. The Best option moves up to ring-spun cotton, which at 25 percent stronger than open-end cotton, is a higher quality, more durable and also softer. You can really feel the difference. This is a premium product, for when the message really matters. There are 4-oz. shirt options, and also 7-oz. shirt, with more of a retail look and feel. They’re great for corporate or retail events, recognition, or special event souvenirs. The same principles apply to both sport shirts, just with different options. The Good classification would apply to relatively inexpensive poly-blend, jersey-knit polos made out of the same fabric as T-shirts, only with buttons and collars, of course. At a value, they are less expensive for budget-minded customers. They’d be great for an employee uniform program with a high-rate of turnover. The Better variety gives more options in terms of fabric and fit. Better polo shirts tend to be made with ring-spun cotton, for extra softness and durability. Top stitching around the collars and arm holes gives that little extra flair and prevents curling. 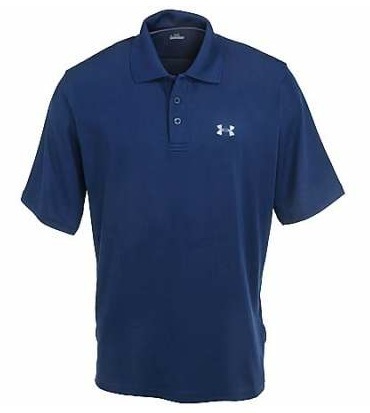 It’s a great work shirt option for an employee uniform program with a low rate of turnover. The Best option uses fine-gauge cottons such as Egyptian, true athletic performance like Adidas Polo Shirts or wicking properties like Under Armour’s Tactical Shirts (all the rage these days in the athletic realm), and fashion-forward colors, these are the shirts that will truly make a statement. The high quality of yarn produces a very high-quality shirt, lighter in weight, and more visually appealing, with exceptional fit. These also provide a more tailored look. Gender-specific shirts are becoming more and more in demand. We’ve come a long way from the work shirt unisex days, folks, and clothes like this that reflect that will be held in high regard. With fleece, the vast majority of products falls in the Good category. The 9-oz. 50/50 category offers so many different options at a great value price that this is where the majority of business is done. Inexpensive athletic warm-ups are one of the most popular uses, along with the education market. The Better option involves high cotton fleece, in an 80/20 or 90/10 variety, heavier in weight, and providing additional warmth. Stitch detail is increased, as well as wider rim on collars, cover seaming, and more make in the construction. When intended for more frequent wearing and use, this is a great way to go. And finally, the Best option, which is an emerging market. Performance, or tech fleece is a great chance for an upsell. Moisture management that is prominent in these products is one of the most common requests from customers. What this all boils down to is that you want to be able to meet your employees’ and customers’ needs in the most sensible and practical way possible. You don’t need to supply a high-end fleece to an entry level dishwasher. But you also wouldn’t give an entry-level T-shirt to an important business client. Match the right product to the right needs, and you’ll get the most bang for your buck! Get all your work shirts and workwear needs taken care of by visiting Workingperson.com today! Remember, we’re here to help because we specialize in brands that work.